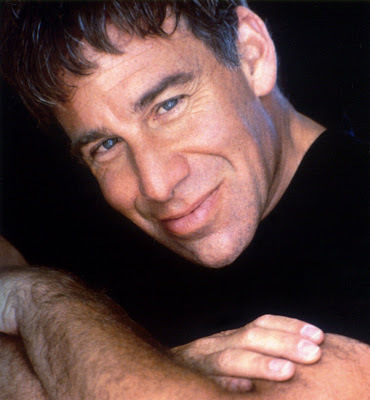 Prolific composer Stephen Schwartz has delighted us with such musical megahits as Godspell, Pippin, The Magic Show and...the most successful show in Broadway history Wicked, which is still playing in New York and on tour internationally and grossing millions of dollars on its souvenirs alone. He will perform this Sunday, August 23 at 7:30 pm at the Ford Amphitheatre in an evening entitled Making Good. Guests, tributing Schwartz's past work include Valarie Pettiford, Michael Arden, Terrence Mann and opera star Lauren Flanagan. Schwartz will present selections from his new opera Seance on a Wet Afternoon at the event. Produced by Chris Isaacson and Shane Scheel and Upright Cabaret, this is the third and final concert in the series Wicked Summer Nights which previously showcased Shoshana Bean in June and Eden Espinosa in July, both triumphant Elphabas in Schwartz's Wicked. To quote producer Isaacson, the concerts were put together to "celebrate the past successes of these artists and to show what they are up to since Wicked." Stephen Schwartz was been awarded a Grammy, Tony and 3 Oscars for his songs in the film scores for Pocahantas and The Prince of Egypt, and nominated for The Hunchback of Notre Dame and Enchanted. He also composed the popular song "Butterflies Are Free" for the Broadway play and film of the same name. Schwartz took time out of his busy schedule to talk via phone from New York about his work, Seance on a Wet Afternoon, and what has become his latest and perhaps greatest passion in music. Q: Tell me about Seance on a Wet Afternoon. It is based on the movie from the 60s. Was this one of your favorite films? SS: No, I wouldn't put it that way. I saw it when I was a kid, and I remember liking it and being intrigued by it, like many other good films, and then I more or less forgot about it. Maybe a year after Wicked opened, the idea was suggested to me by an agent, Peter Franklin, who took me out to lunch and pitched some ideas for some possible musical theatre pieces. One of them was Seance and I didn't really think it was right for a musical, so I put it aside. I guess about a year later I got offered a commission to do an opera by the Opera of Santa Barbara and asked if I had any ideas. For whatever reason, I immediately said Seance on a Wet Afternoon. Q: Is this your first opera? Q: How did you enjoy composing it? SS: I actually wrote one when I was in college...an extremely bad one. So, Seance is the first one that will actually be performed by professionals. Q: How much more difficult is it to write an opera than an operetta or a musical comedy? SS: For me? Considerably! This is the most challenging thing I've ever done. Q: Will we be the first to hear it on Sunday? SS: Some people have heard readings in various developmental stages. There have been a couple of readings of the full opera here in New York under the auspices of an organization called the American Opera Project. Accompanied by pianos, as will be the excerpts on Sunday night. Q: Will you be playing piano? SS: No. There'll be 2 pianos. I'll try to set up some of the various arias. Q: What will you be performing in the show? SS: I'm going to sing something in the second act. Q: Terrific! When you finally got into the composition of the opera, what did you think had to be translated into the piece from the film? SS: It's really a mood piece. The title alone suggests how moody it is. I needed music to set the tone and the mood. Also the 2 leading characters (Kim Stanley and Richard Attenborough on film) are characters who want things very, very badly and are passionate about them and this is always good for musical adaptation of any sort. A lot of what is going on in the piece is subtextual in that the characters don't actually say what's going on. There's a lot of deception and dissembling, so music can be telling that subtext. There are many exciting elements at play. Q: I'm really looking forward to hearing it Sunday.Tell me about the background of Godspell. SS: I didn't have much to do with its origins. It was the brainchild of the original conceiver/director John-Michael Tebelak. He started it when he was at school, at Carnegie Mellon. He was always torn between being in the theatre and being an Episcopal minister. He was a sort of big, hippyesque kind of guy. The story is he was going to Easter services and they gave him a hard time getting in, and he found the whole thing very joyless ...and thought this really isn't it at all. That's when he got the notion to do Godspell. I came into the project very late in the game, when the producers decided to transfer it to an off-Broadway commercial run. I was asked to contribute to the score and only had 5 weeks to write it before it began rehearsal. So, I came into that quite late. Q: Another favorite show of mine is Pippin. What do you think makes it timeless? What is your most favorite production of it? SS: I loved the recent production at the Taper. (Dead West's production at the Mark Taper Forum in Los Angeles in January of this year.) I was hoping that it would go forward and be seen in other places. It was such an imaginative reinvention of the show. Not going forward with it is very disappointing. I loved their whole approach to it. I think Pippin remains relevant to audiences because the basic subject matter is about trying to figure out what to do with your life. What's worth devoting your time to and what isn't? Every generation and everyone growing up have to deal with these questions. Q: What is your favorite film score that you've been involved with? The Prince of Egypt. The other 3 were with Alan Menken. I do have a partiuclar fondness for The Hunchback of Notre Dame. I think it was Alan's best score. Q: No favorite song that you've written? SS: Well sure, we all have our favorites, but, as many writers do, I tend to duck that question. I feel it colors people's response to a song if they know it's the writer's favorite. If I hear "Someone in a Tree" from Pacific Overtures , I feel "Oh yeah, that's Steve Sondheim's favorite song". Q: In your spare time what kind of music do you like to listen to? Hairspray...I'll listen to those albums for a little bit, but basically it's either pop stuff or classical. Q: Do you have any favorite pop singers? SS: Oh sure. I have tons of them...one singer that I like a lot that I just recently got to write with is John Ondrasik, who works under the name Five for Fighting...we wrote a couple of songs together that will be on his new album which comes out in the fall. It was fun, because he had been one of my favorite singers before I had the chance to work with him. Q: I know you mentioned not listening to a lot of theatre music, but...do you have a favorite musical of all time? Many singers choose West Side Story. SS: The King and I, for a few reasons. Musically I love it, but also the way the characters were treated was incredibly influential on me... that you had 2 strong central characters who clash with one another, and they're both right and they're both wrong. It's kind of a love story and it's kind of not. Actually, if you look at Wicked, you can see that in a way it's an all-girl version, in terms of the relationship, of something like The King and I.
Q: Anything new that you've worked on for Broadway? SS: The last couple of years it's been opera all the time. I've been in operaland! It's been really consuming. I've learned an enormous amount, and it's been daunting, but also educational and exciting in such unfamiliar territory. Q: Well, you've got me very excited to see the concert Sunday night and to hear Seance on a Wet Afternoon for the very first time. Upright Cabaret presents the third and final concert of 'Upright Cabaret's "WICKED" Summer Nights' at the Ford Amphitheatre with a musical celebration of the Oscar, Grammy, and Tony Award-winner Composer/Lyricist of "WICKED" and "PIPPIN"...MR. STEPHEN SCHWARTZ! On Sunday, Aug 23 at 7:30pm - Stephen Schwartz, the Oscar, Emmy and Grammy award-winning lyricist and composer presents an extravaganza of song featuring the Upright Cabaret All-Star performers interpreting Schwartz’s most popular songs including “Defying Gravity,” “Colors of the Wind” “Morning Glow” “When You Believe” “Corner of the Sky, and as an added bonus, Mr. Schwartz will give a sneak peak of his new pop-opera, “Séance on a Wet Afternoon,” featuring acclaimed soprano Lauren Flanigan! Performances by 3x Tony Nominee Terrence Mann (Cats, Beauty and the Beast, Les Miserables), Tony Nominee Valarie Pettiford (Fosse) with Michael Arden (Times They Are a Changin'), Elizabeth Brackenbury, David Burnham (Light in the Piazza, Wicked), Matt Cusson, Jesse Tyler Ferguson (Spelling Bee), Barrett Foa (Avenue Q), Grammy winner Nathan Lee Graham, singer/songwriter Audra Mae, Michael Marcotte, Katy Mixon (HBO's Eastbound and Down), Nicole Parker (MadTV), Hila Plitmann, Aaron Refvem, Tami Tappan Damiano, Ty Taylor (CBS's Rockstar INXS), Tracie Thoms (Cold Case, Rent), Jennifer Leigh Warren (Little Shop of Horrors, Big River, Marie Christine), Brenna Whitaker, and many more! Music Direction by Charity Wicks and Christopher Lloyd Bratten. This show is directed by Billy Porter celebrating life beyond the Wicked stage, starring pivotal figures who have created and defined this musical phenomenon. Tickets can be purchased online by visiting http://www.fordtheatres.com/ or www.uprightcabaret.com/events or by calling (323) 461-3673.